Purchase your new Firedisc Cooker by using our 10% discount promo code today! FireDisc Cookers® (“FDG”) is based in Katy, Texas. FireDisc Cookers® specializes in making the most versatile outdoor grill on the market today. Our FireDisc Cookers® are handcrafted, will not rust, and perform to the highest standards set out by the founders of the company. We offer small and large FireDisc® products, covers, hoses and adapters. We believe in what we sell and we sell the best. FireDisc premium gas cookers are made from highest quality carbon steel that deliver rugged durability, ease of use, and superior grilling characteristics. A FireDisc Cooker can save you from the hassle and mess that you might get from some charcoal cookers. Our company was founded by two brothers who set out to build a BBQ cooker that would cook restaurant quality food, would be portable, and tough enough to take camping, tailgating, or survive years in the backyard. Avid outdoor enthusiasts, the two inventors thrived on designing unique solutions to solve day-to-day challenges. Their active lifestyle afforded many a hunting, fishing, camping and tailgating adventure, yet each was fraught with frustration by the lack of adequate methods to cook up delicious meals for large groups in the outdoors. After numerous failures with just about every grill on the market at the time, the brother team set out on a mission to develop the world’s most innovative cooker. They reached back to family experiences on a Texas farm where big groups were fed field-side on makeshift cookers. Those memories were the seed of what ultimately became FireDisc®. In 2010, armed with a plow disc from a tractor and a welding shop for hire, the brothers set out to design an entirely new category of cooker that was portable yet bullet-proof and could out-cook and outlast any other gas cooker on the market. Out of that passion and perseverance to create a high-tech outdoor cooking innovation, the first FireDisc was born. The FireDisc® cooker was unique, but the brothers weren’t finished yet. They wanted to create a product that could withstand rigorous testing, and get better with each and every meal. They knew the best way to achieve the ultimate cooking versatility, surface seasoning capacity, portability and durability performance was to have it tested by a diverse line-up of expert chefs, outdoorsmen and barbecue enthusiasts who lived, breathed and slept top-notch cooking. So they partnered with leading chefs, hunters and fishermen to put FireDisc through boot camp. This meticulous testing still goes on today via the Chef Tested-Chef Approved and FireDisc Ambassador programs. FireDisc® brand is built on character, family principles and giving back. Prior to their launch, the founders formed a non-profit to raise money and find a cure for MS. To date, $1M has been raised via “The Carney Men” Bike MS team. Community involvement is the core of the FireDisc brand. In addition to the National MS Society, they are proud supporters of the National Breast Cancer Foundation Inc, Bridges to Life and many more. FireDisc® Portable Propane Cookers and a collection of accessories are now sold throughout the country, online and across the globe. Through their entrepreneurial spirit, passion and perseverance and by collaborating with industry experts, Griff and Hunter Jaggard have revolutionized the outdoor cooking marketplace with the innovative FireDisc Cooker. As we move forward, FireDisc will continue to change the outdoor cooking industry for the outdoor fanatic on the go! 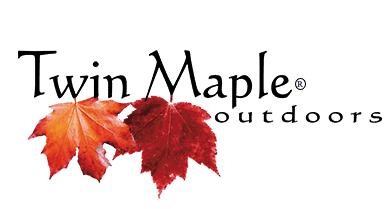 The goal will be to always provide high-end, innovative products and accessories designed for the hunter, fisherman, camper, outdoor enthusiast. 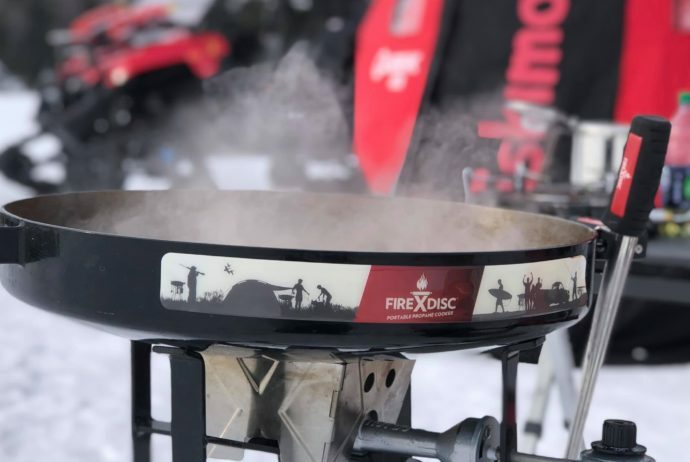 FireDisc is a business built around character and family principles, and we will never stop working hard to develop cutting-edge cooking products and accessories that enhance the outdoor cooking experience for our customers. This is and will always be the FireDisc way.